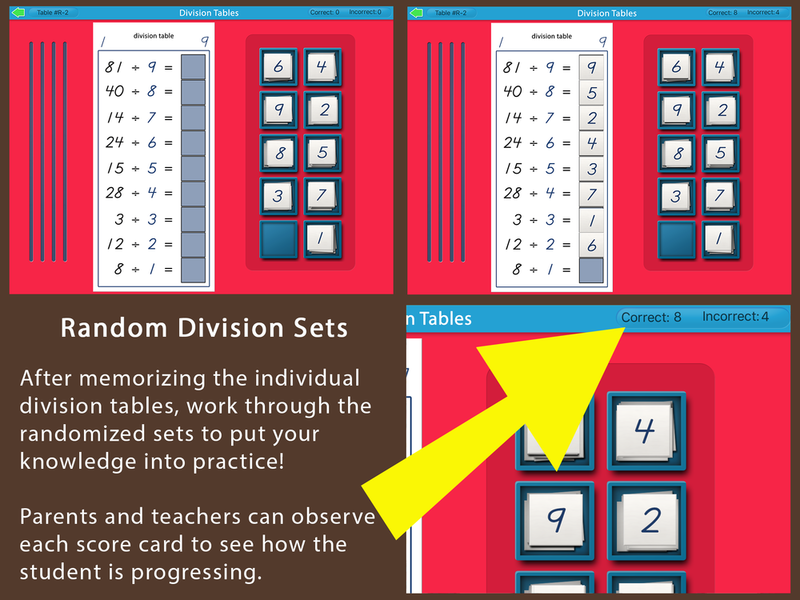 Practice the Division Tables over and over until you've memorized them all! 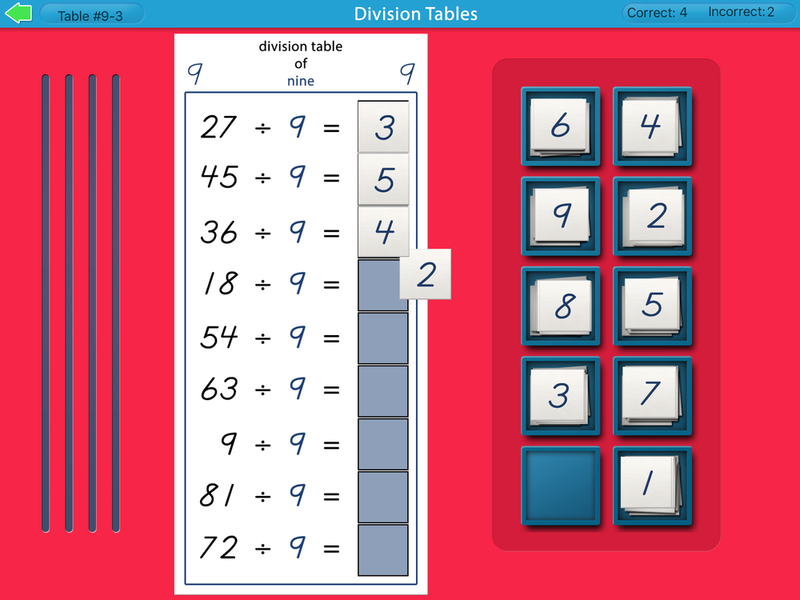 This math activity is designed for school or home use. First, practice with individual division sets, such as 4÷2, 8÷2, 12÷2, etc. There are multiple cards to work through for each set. Once you've worked with these for a while move on to the Random cards that have equations from all the sets scrambled on each card. All equations and answers can be heard aloud to help with the memorization process. 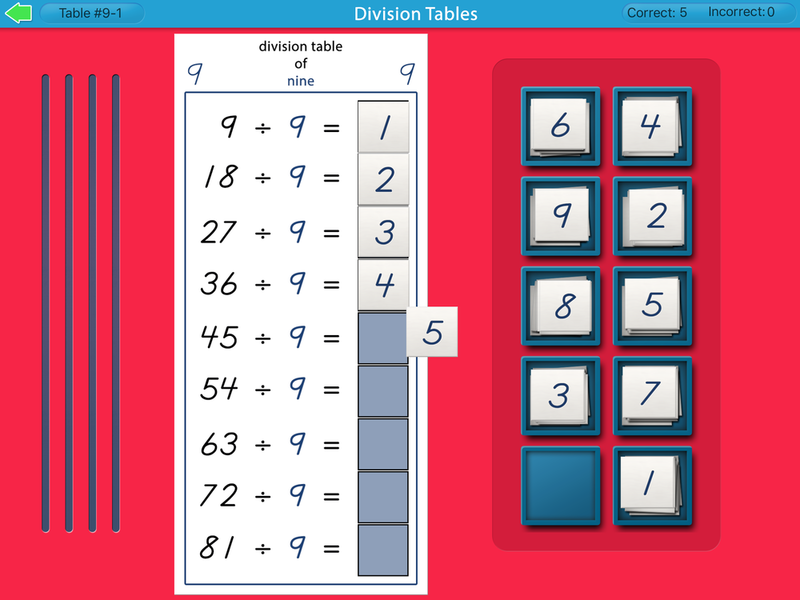 This activity is a time-tested method of reinforcing the basic division quotients and is used in Montessori classrooms around the world! This app was co-developed and approved my an AMI certified Montessori teacher with over 40 years experience in the field! Thanks for your support of our Montessori apps!